Do you ever wonder what to say after someone passes away? Whether it's the mother of a close friend, the spouse of a coworker, or someone's father, the right words are often hard to find. Don't let fear keep you from sending a comforting message. It's important to take the time to write something to show you care. If you've ever felt at a loss for words following someone's passing, you're not alone. You know that the family and close friends of the deceased are hurting, and no matter what you say, that pain won't go away. However, also also know that expressing our condolences is the right thing to do, and it needs to have comforting words that show your heartfelt sympathy. It’s always a good idea to write down a few thoughts on a separate sheet of paper before you begin. 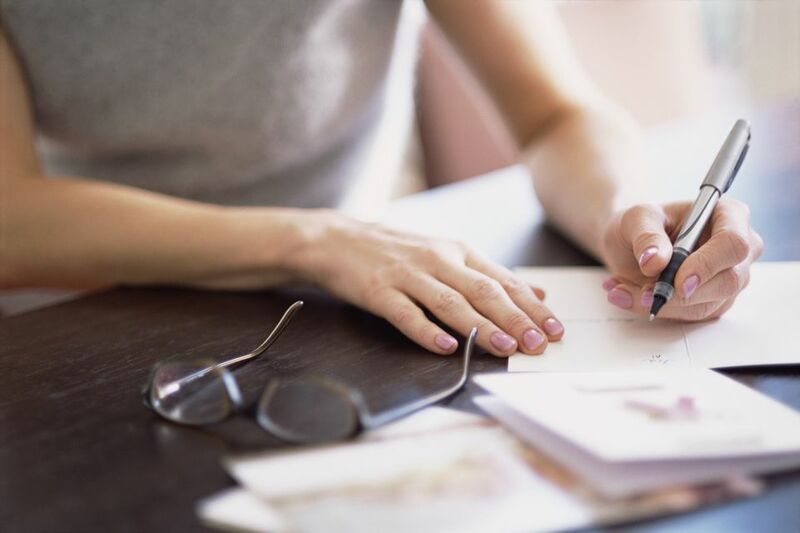 If you are sending flowers, you may want to jot an additional brief note to include with the delivery, but a separate message should still be mailed. Remember that your words need to sound natural and heartfelt, so feel free to use the examples of one of the templates below but edit them to make them your own. Make sure your comments are personal. Your message doesn’t have to be long. Even a brief note will be enough to let the survivor or survivors know you are thinking about them. Sympathy cards should be written out or printed on a sympathy card, blank card, or good stationery. It’s best not to send condolences in email or text messages. Try to send the note as soon as possible after the death, but there is no time limit. If you don’t hear about the person or pet’s passing until a year later, you should still send a note to show that you care. Notes may be included alongside a sympathy gift for the survivor, or sent on their own. I’m sorry to hear about the loss of your mother. I’ll never forget her warm smile and gracious welcome when our families got together. I know that nothing anyone can say will take away the pain of your loss, but if you feel like talking, please give me a call. I just heard about your husband’s passing, and I want to let you know that I am deeply sorry for your loss. Jim was a good father who set an excellent example for other men in the community. I’ll never forget his willingness to serve as Little League coach. The kids will always remember him as Coach Jim, a man who cared deeply about each of them, understood sportsmanship, and laughed easily. If you need someone to help with errands, I’ll be happy to lend a hand. I would also like to extend an invitation to your children to join mine at the skating rink early next month. I’ll call you next week with the details. In the meantime, know that I’ll be praying for you and your family. If you need to talk, don’t hesitate to pick up the phone and call me. Thank you for sending us the email, letting us know about your sister Janet’s passing. Margaret and I were sad to read the news. The few times I was around Janet, I could tell that she adored you and her other brothers. I know there is nothing I can say to ease the pain, but please know that my family is praying for yours. Words cannot express the depth of my sorrow over the terrible tragedy of the accident and loss of your son. My thoughts and prayers are with you, your husband, and your daughter. If there is anything I can do or if you need someone simply to listen, please don’t hesitate to call. I am terribly sorry to hear about the loss of your mother. I know how much you loved her, and I’m sure she appreciated all the time you were able to spend with her in her final days. Please know that my thoughts are with you during this difficult time. I am so sorry to hear about your loss. Fifi was such a cute and sweet little dog. Although she was tiny, everyone who knew her and saw the two of you together had no doubt she held a big place in your heart. I’ll never forget the way she used to look up at you with adoring eyes. She will definitely be missed. No one expects your sympathy note to be perfect. The main thing is that you're showing that you care for the person who is grieving, and you want to offer some comforting words.